The old school name plate is back. 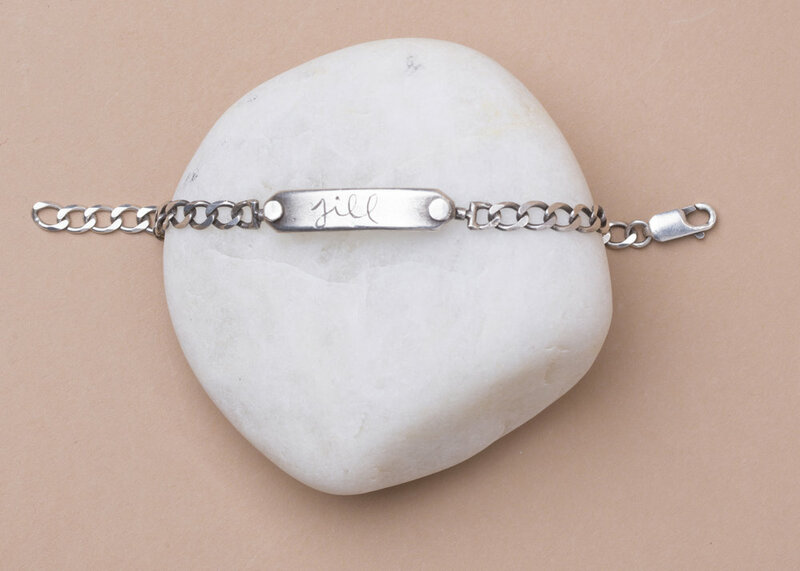 Any word, initial, or name will be engraved to add that delicate and personal touch. I fabricated the original model in metal and then made a mold of the piece. The beauty of an oxidized piece of sterling silver jewelry is that the patina will naturally wear over time and you will add a subtle polish to the piece.